Everyone who knows me well knows how much I read. Rarely, if ever, will you see me without a book of some sort in my hands. Unfortunately, I’m much better at reading them than I am for reviewing them. 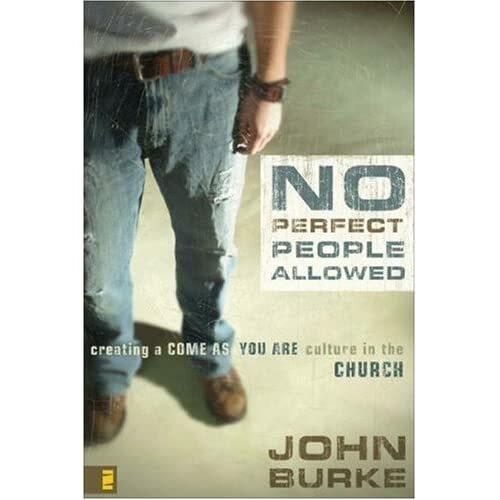 I read No Perfect People Allowed by John Burke recently. In it, he not only convinces the reader to have a community of acceptance in the church (and I mean that in an absolutely positive manner), but he also helps the reader begin to think about how to create such an atmosphere at their specific church. By far, my favorite portion of the book were the numerous stories of changed lives in Austin, TX that could have only occurred through a church that absolutely welcomes those distrusted or shunned by a large number of churches.